long lasting protection to keep you feeling fresh all day and suitable for most skin types. Aloe barbadensis leaf juice, Aqua, Zinc ricinoleate, Triethyl citrate, Lauryl glucoside, Polyglyceryl-2 dipolyhydroxystearate, Glycerin, Cetearyl alcohol, Glyceryl caprylate, Sodium bicarbonate, Polyglyceryl-3 stearate, Sodium stearoyl lactylate, Isocetyl palmitate, Punica granatum extract, Cetraria islandica extract, Glycyrrhetinic acid, Aroma, Rosmarinus officinalis oil, Tocopherol, Helianthus annuus seed oil, Chondrus crispus extract, Xanthan gum, Sodium phytate, Sodium benzoate, Potassium sorbate, Citric acid, Citronellol, Limonene, Geraniol, Hexyl cinnamal, Linalool. I love this and it s one of a number of natural deodorants i use. I like to ring the changes as I don't allow my sensitive skin to become too used to any as that is when I have issues. * The scent is quite strong initially so if you are not keen that could be off putting for some as scents are very personal. This is a very easy to use natural deodorant with a great aroma. It is NOT going to stop you sweating but will deodorise meaning the natural ingredients will keel off any bacteria so stop you smelling! 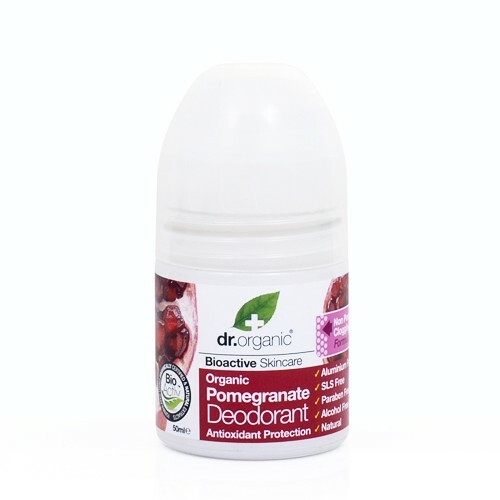 "I love this and it s one of a number of natural deodorants i use. I like to ring the changes as I don't allow..."